Unlike other companies in home security that include medical alert monitoring as an afterthought, ADT has a dedicated medical alert system and monitoring plans. All of ADT medical alert devices are covered by a price-lock guarantee, ForeverRate, which means you pay the same monthly bill throughout your stay with ADT. With ADT, you don’t buy but lease your equipment. You get a free kit, but you pay $9.99 for shipping. The installation is free DIY or professional, but extra fees apply in this case. ADT covers your equipment with a lifetime warranty, so repairs and replacements in case of the normal wear and tear or malfunction are covered. If you lose a wristband or pendant, however, a replacement will cost you an average $14.99. Medical Alert Basic at $29.99/mo bundles 24/7 professional monitoring for medical emergencies and includes a base station with two-way voice communication and a temperature sensor, and a medical pendant or bracelet. The pendant – or bracelet – have a 300 feet range of your main console, so are ideal for in-house use. The medical pendant and bracelet are waterproof, so you can safely wear them in the shower. The base has an embedded temperature sensor, so if it detects abnormally hot or cold temperatures, your monitoring station receives a signal. The base also has a backup battery that should last 12-20 hours if the power goes out. The batteries in the medical pendants and bracelets should last at least 20 months. This system requires WiFi connection or a landline. No cellular connectivity is available. Medical Alert Plus at $35.99/mo includes 24/7 monitoring, and consists of the same base with two-way voice communication, temperature sensor, and a backup battery, but tops it off with a fall detection pendant, and a medical alert wristband or a pendant. Wearable accessories have a 600 feet range around your base console, ideal if you spend a lot of time in the yard, by the pool, or in the garden. The fall detection pendant sends a distress signal to the base, which in turn sends the signal to the monitoring station, even if you are unconscious. The fall detection pendant also comes with a two-way voice communication feature, so you can talk to the agent without having to rush to the base console. This system needs a cellular connection. ADT On-The-Go at $39.99/mo is ideal for active users who are often out and about but need to be able to press a panic button and have an agent dispatch help wherever they may be, not just at home. This system includes a special mobile device with two-way voice communication, one waterproof wristband or a fall detection pendant. GPS tracking embedded in the mobile console help agents locate users who get disoriented or are prone to wandering. The pendant needs to be within 100 feet of your mobile console to stay active. The fall detection pendant also has a two-way voice communication. The wearable accessories are waterproof (pendants, wristbands). The equipment and activation are free, and so is DIY installation. No long-term contract is required, so you can opt for a month-to-month agreement, but discounts are available on annual and quarterly contracts. 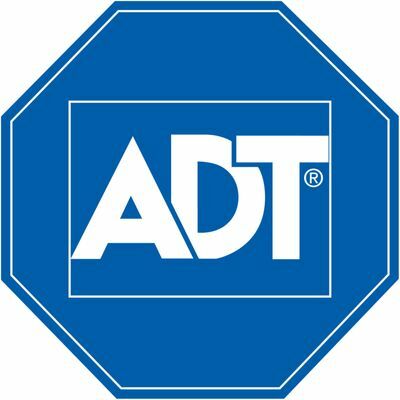 Also, existing customers running ADT home security system qualify for discounts (approximately -$2/mo). To cancel, you must notify the company at least 30 days in advance. ADT runs its monitoring stations, and their response rate is on average around 20 seconds. Once you activate your panic button, it sends a distress signal to your base station or mobile console, which routes it to the monitoring station. An agent then tries to reach you via the two-way voice communicator embedded in your base station, mobile console, or the fall detection pendant. If the ADT monitoring representative can’t reach you, or you confirm you need help, the agent contacts the corresponding emergency service to dispatch to your home or away location (if you are on their ADT On-The-Go plan). The DIY installation is easy to accomplish even for the non-techies, but if you need professional help, ADT offers a toll-free number you can call and have a technician guide you. Also, professional installation is available at an extra cost. The ADT medical alert system is a standalone offering that comes separate from its home security plans. If you already run an ADT home security system, you have a panic button for medical emergencies embedded in your base keypad, a panic button in your key fob, and a water-resistant wearable device. The fall detection pendant is not 100% foolproof, though, so the company recommends that you test it on a regular basis. The company does not run automatic diagnostics of your system – it is entirely your responsibility. ADT recommends running a regular monthly checkup of your system and pendants to ensure flawless performance and identify faults if any. ADT medical monitoring monthly plans include the equipment that covers one user only, but you can add more users to the system at an extra monthly fee and order additional pendants. The ADT medical alert systems can be a feasible option for aging people and anyone with health issues living alone or with a spouse, as well as active seniors who are often out and about. Alarms.org is Copyright 2018 The National Council For Home Safety and Security. All Rights Reserved.